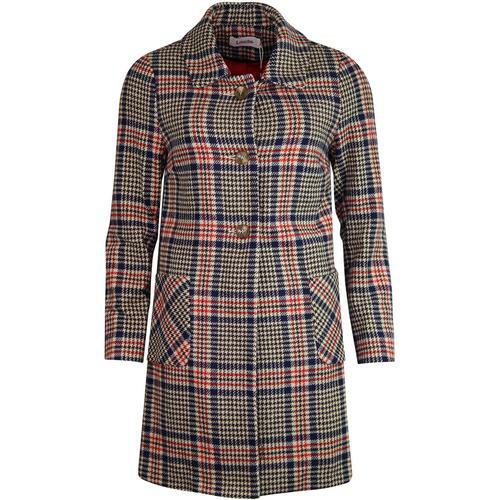 Retro 70s style women's trench coat by Bright and Beautiful. 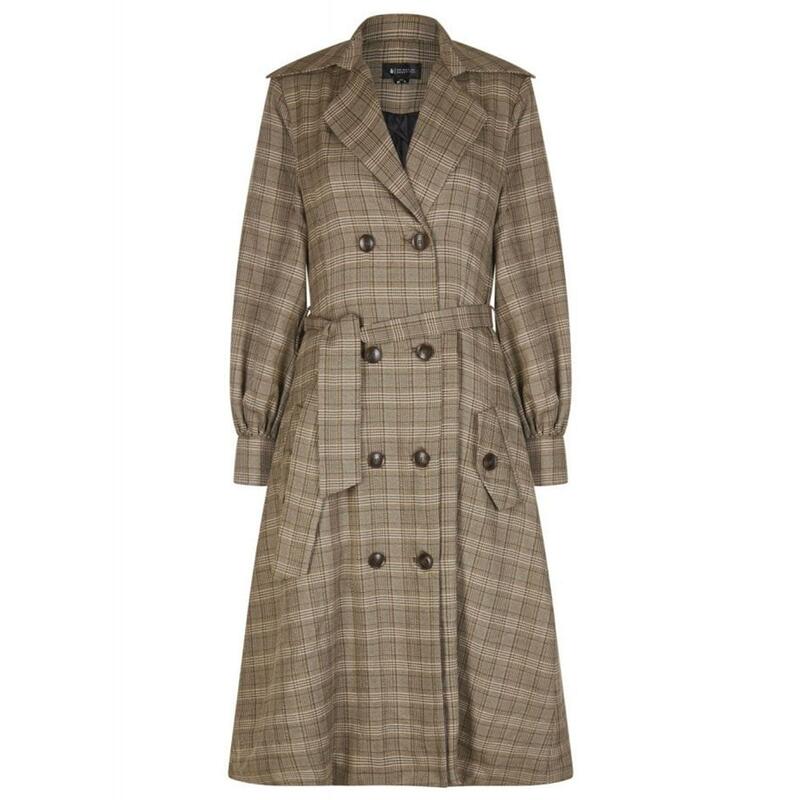 A classic long coat in a retro brown tartan check, in a slightly oversized A-line fit. Sash tie belt to waist will cinch it in for a flattering retro fit and shape. 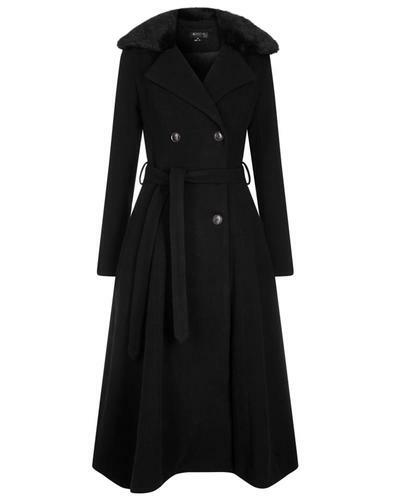 Open collar design with retro large notch lapels and oversized collar. Double breasted button fasten to front. 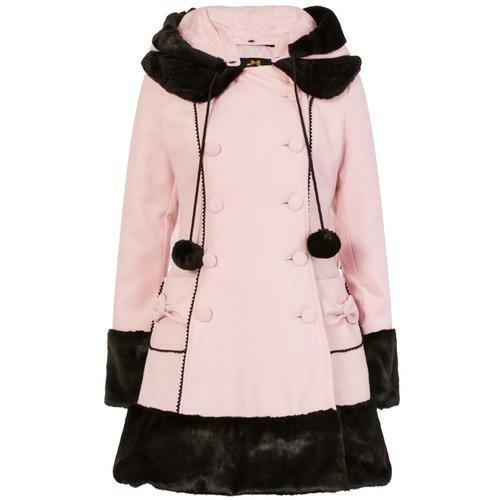 Storm flap to back with point at the center and button detailing. 2 button fasten pockets to front and button cuffs. Fully lined.